Stained glass Panel - "Arkansas Razorbacks Logo"
This stained glass panel is a great gift for the Razorbacks fans! Size: 12" round. Can be made with iron stands or as hanging pieces. 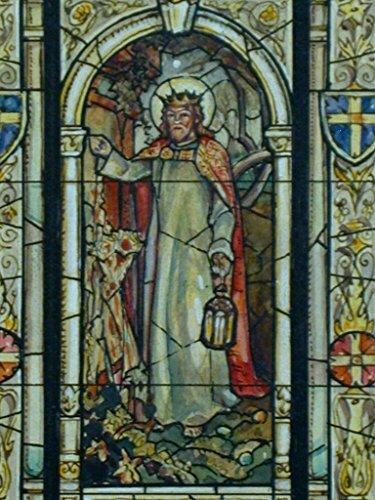 Glass: For this piece we used translucent opal glass in solid black, Kokomo red and white. "This can be ordered in any sizes and color that compliment your decor. Contact us to begin your custom project today!!" Brighten it up with a Razorbacks table lamp. 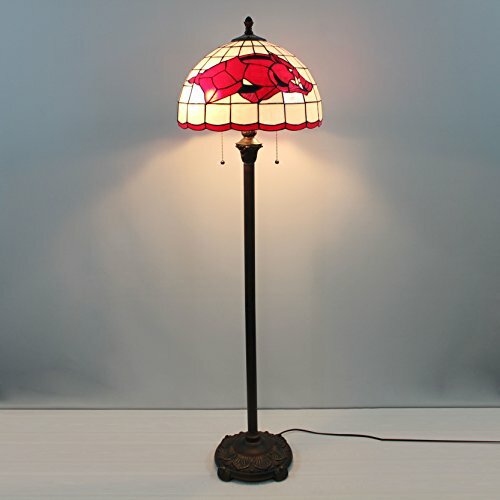 This Arkansas Razorbacks Lamp is hand made in the USA. This 14" diameter Arkansas table lamp with real stained glass panels will match your favorite team colors. Each individual Razorbacks stained glass panel is carefully cut and inserted into the frame. This Arkansas table lamp has a 12' cord with an inline switch and a 9' antique brass decorator chain. 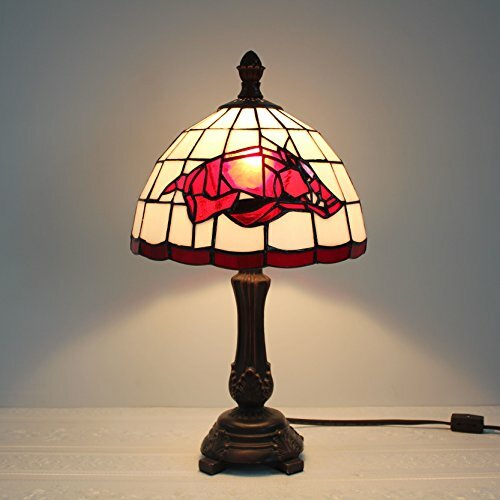 If you need additional lighting at the bar or just for reading, consider adding one of these handcrafted "Razorbacks" Tiffany style table lamps. 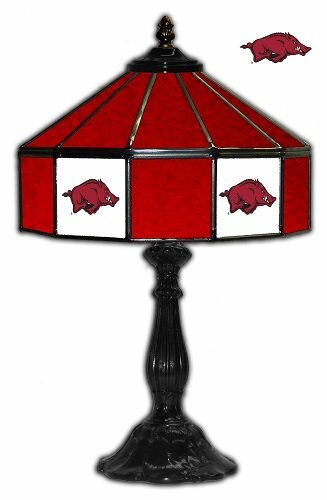 Finish your game room or den with a Razorbacks Lamp today! Brought to you by Team Bar Stools. Brighten it up with a Razorbacks 3-shade light. This Arkansas Razorbacks pub light is hand made in the USA. This 3-shade light has 3 - 14" diameter Arkansas pendant lights with real stained glass panels to match your favorite team colors. Each light has 6 custom made Razorbacks stained glass panels that are carefully cut and inserted into the frame. These Arkansas lights are mounted on a 54" long antique brass rod that fastens to the ceiling with a decorator chain at a single position. If you need additional lighting above your pool table, game table or bar, consider adding one of these handcrafted "Razorbacks" Tiffany style pub lamps. Finish your game room or den with a Razorbacks pub light today! Brought to you by Team Bar Stools. 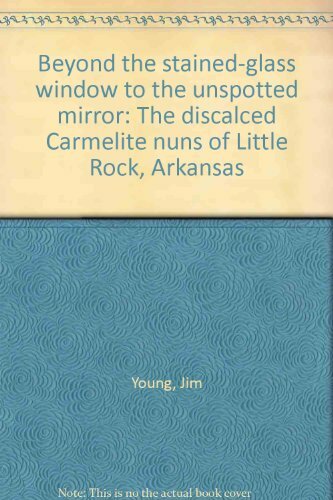 Copyright © Wholesalion.com 2019 - The Best Prices On Arkansas Stained Glass Online.